My name is Kristen Emory (PhD) and I am the Director, Advisor and an Instructor to Public Health Undergraduates in the School of Public Health (SPH) at San Diego State University (SDSU). I am so pleased to share with you some wonderful news we received yesterday! 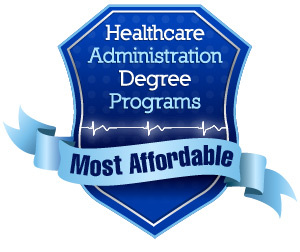 The School of Public Health (SPH) Bachelor of Science in Public Health program has been ranked #13 in Healthcare Administration Degree Programs Top 35 Most Affordable Bachelors in Public Health Programs for 2018-19! I am particularly proud of this honor, as part of our mission in the SPH is to make public health accessible to diverse and underserved communities, whether they be students or the populations we serve. Our top ranking is based on a variety of unique factors of our wonderful program such as our CEPH accreditation, affordability and preparing students for graduate school and real world opportunities. Two of our student organizations were specifically recognized as being particularly engaging to students: The Public Health Initiative (PHI) and Students for Public Health (S4PH). Please feel free to check out the announcement and full rankings here. Please join me in congratulating our entire program, current students, alumni, faculty, staff, student organizations, community partners, and program Director Hala Madanat for helping to make our bachelor’s program so successful and accessible! I am so pleased to work with such amazing people, who genuinely care about the communities we serve! Thank you to all who have impacted our program and know that your commitment and dedication to our program has made it what is is today!